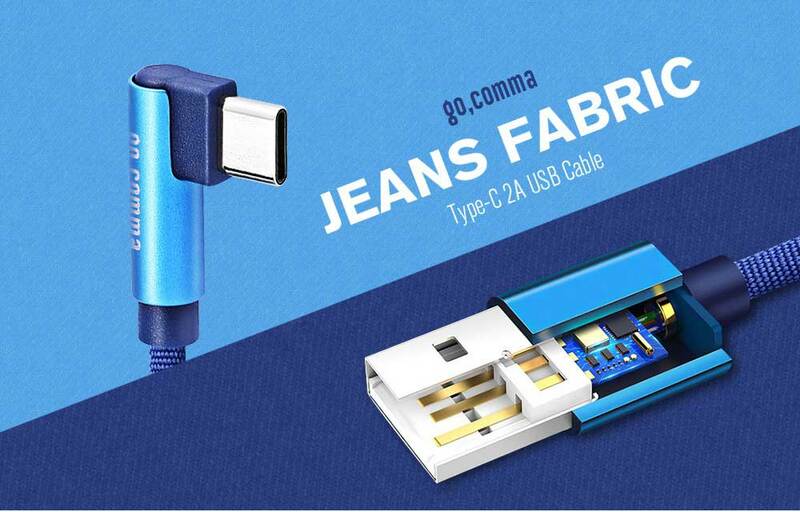 Product Description: Gocomma Type-C Jeans Braided 2A USB Cable is the third generation USB cable having extra durability with 90-degree Aluminum Alloy Connector. The cable is 1m long cobalt blue color, entanglement free and is Jeans braided. If your USB charging cables were all dull, then think again. There are actually some cool USB cables available for Android devices with some exciting deals. GearBest brings you another great deal for Gocomma Type-C Jeans Braided 2A USB Cable with 11% OFF. You can grab this deal from the link given below, where a coupon is already applied. Read ahead! Gocomma Type-C Jeans Braided 2A USB Cable is the third generation USB cable having extra durability with 90-degree Aluminum Alloy Connector. The cable is 1m long cobalt blue color, entanglement free and is Jeans braided. This cable supports all devices with Type-C interface. 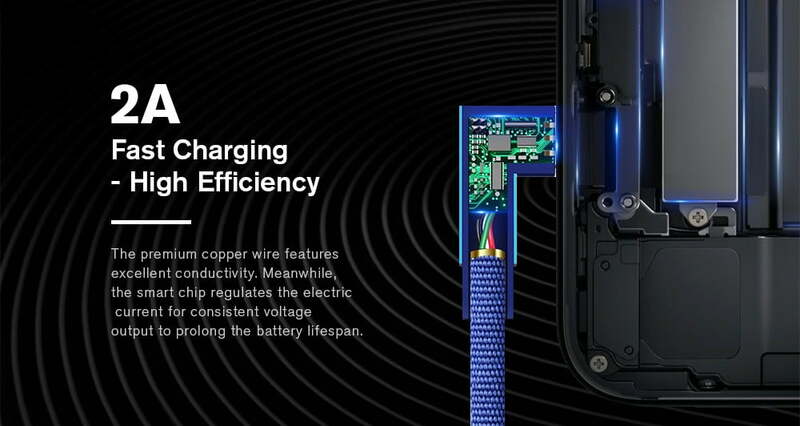 The premium quality copper wire features excellent conductivity that supports 2A Fast Charging with high efficiency. If your device has a fast charging feature, then Gocomma Type-C Jeans Braided 2A USB Cable would be a perfect choice. There is a pre-installed smart chip in the USB cable which regulates the electric current for consistence voltage output to increase the battery lifeline. Moreover, the high-quality PVC jacket by ultra-thin fabric makes the cable smooth and feel comfortable on the hand. It has 30 percent more strength and hence more resistant to tear and wear. Not only that, but Gocomma Type-C Jeans Braided 2A USB Cable also offers high-speed data transmission with laptop or PC. The heat dissipation through the aluminum alloy is outstanding to remove heat and prevent from overheating and gives overcharging protection. The creative 90-degree interface gives comfort to the mobile users while charging or transferring data from computer. Overall, we can say that Gocomma Type-C Jeans Braided 2A USB Cable is a perfect choice for Android users at a crazy low price. The actual cost is $2.99 while you can get a deal from GearBest and grab it only at $1.99. To do that, you need to click the link given below where a coupon is already applied and make the purchase. As per the quality of Gocomma Type-C Jeans Braided 2A USB Cable, $1.99 is a crazy low price. Grab this deal soon from GearBest before it ends, and have a great purchase. I am sure; you will never regret it. Meizu resort to Indiegogo to fund its $1299 “holeless” smartphone!